​Fours is a village and commune in the Department of the Nièvre, 46 kilometres south-east of Nevers, and about 21 kilometres by road from Luzy. 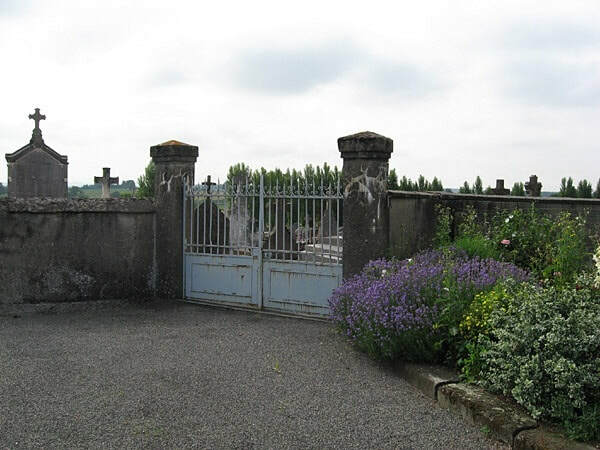 The village is situated on the road which connects Luzy with the town of Decize, on the River Loire. 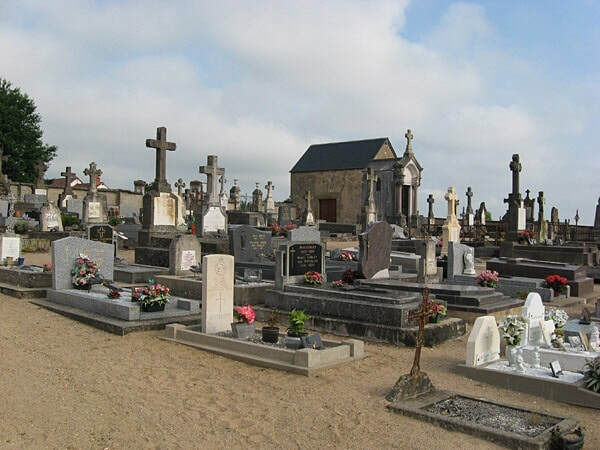 The communal cemetery is east of the village and on the left on the Route de Luzy. The one British war grave is north-west of the entrance and north of the chapel. Incident: The aircraft crashed near the village of Fours. Of the crew, P.O. Sheil died, Sqdn. Ldr. W. R. Butterfield, D.F.C., Fl. Lt. M. C. Bridges, W.O. R. W. Graham and Sgt. P. Fairweather escaped. Fl. Lt. E. S. Baker, Sqdn. Ldr. C. J. Myers and W.O. H. Croney were taken prisoner. 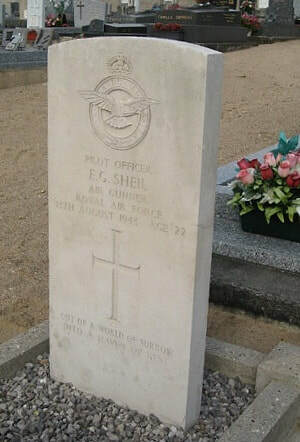 52713 Pilot Officer Eric Gordon Sheil, Air Gunner in 7 Squadron, Royal Air Force, died 13th August 1943, aged 22. Son of William and Dorothy Sheil: husband of Mary Stoddart Sheil, of Edinburgh. INSCRIPTION. OUT OF A WORLD OF SORROW INTO A HAVEN OF REST.